MAZOWE, Zimbabwe, April 20 (Reuters) – A farm owned by Robert Mugabe's wife Grace is at the centre of a legal dispute after hundreds of illegal gold miners invaded parts of the property and started mining gold. A Reuters photographer saw hundreds of illegal miners digging for gold at the Smithfield citrus farm using picks and shovels, the tools of choice for most illegal miners in Zimbabwe. Once guarded by armed police, the farm is now dotted with illegal diggers whose quest for gold has left open shafts and tunnels and uprooted some fruit trees at Smithfield, 40 km (25 miles) north of the capital Harare. Mugabe was forced to resign in November following a de facto military coup, but during his 37-year rule he and Grace and their allies forcibly grabbed several farms from white farmers under the government's controversial land reform programme. In a sign of how the once powerful 94-year-old Mugabe and his wife have fallen, the illegal miners at Smithfield last month told Grace that she no longer had any power to evict them, the privately owned NewsDay newspaper reported. "We are not going anywhere. 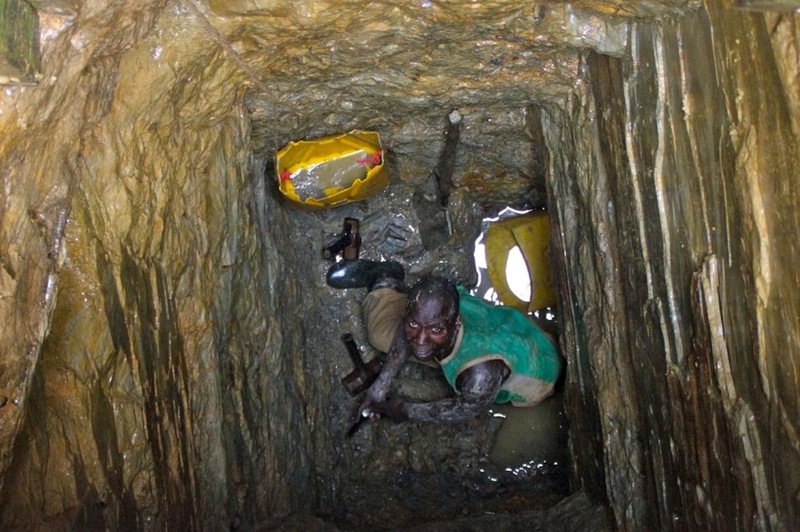 We are artisanal miners and we will be contributing to the survival of the economy since we will be selling our gold to (state-owned) Fidelity (Refinery and Printers)," one of the diggers told Reuters at the farm two weeks ago. "This is open pit mining and we are not damaging the environment at all," he said, declining to be named. Fidelity Printers and Refiners is the sole buyer of all gold produced in Zimbabwe, irrespective of its origin. "We would not want to get involved in the disputes, that area is covered by the Ministry of Mines which issues mining licences," Fidelity head of gold operations Mehluleli Dube said. "Ours is to buy gold and we have agents in that area who buy gold on our behalf. Our approach is to have agents in some areas because we cant be everywhere were gold is produced." The Ministry of Mines has said it cannot interfere with an issue that is before the court. Neither Grace Mugabe nor her lawyer could be reached for comment. She filed a theft report last month with the police against the illegal miners but this has not stopped the miners. Two gold miners who say they own gold claims at the farm, have filed court applications against Grace Mugabe to stop her from interfering with mining operations at the farm. In December, the High Court granted the two miners the right to mine at the farm and barred Grace Mugabe from interfering. She appealed the ruling and the matter will be heard in court. On Tuesday the two men went back to court alleging that Grace Mugabe's employees were interfering with their operations. A date has not been set for a hearing.